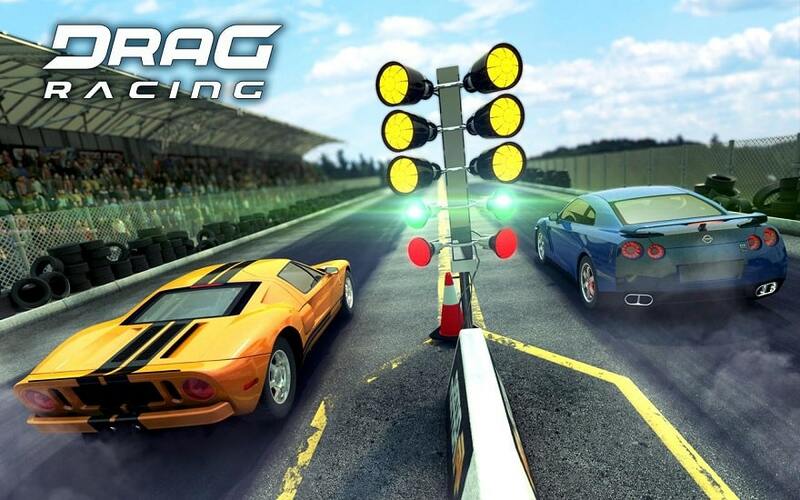 Played by over 100 million players worldwide, Drag Racing is one of the top game apps for Android and iOS. 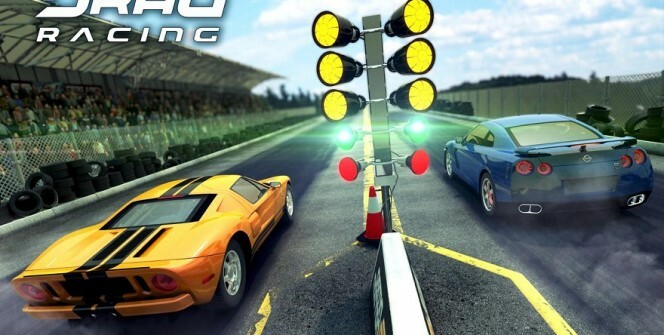 The nitro-fuelled racing game is the most addictive in this category of games. The Creative Mobile-owned game is designed specifically for mobile devices, but players can set up a working gaming system on their PCs. Drive 50+ Real Licensed Cars. The game developer has included cars from top auto manufacturers like BMW, McLaren, Dodge, Nissan, Honda, Pagani and Hennessey Venom. Depending on your earnings, you can choose the car that suits your racing needs. Choose 1000+ HP Exotic Cars. 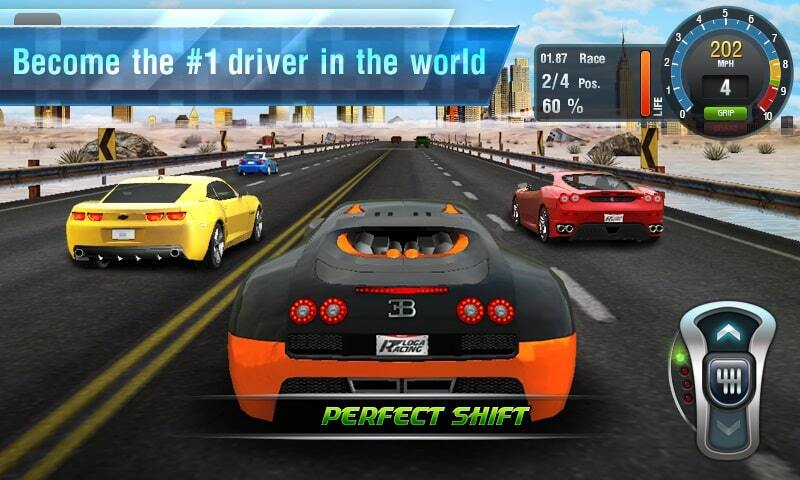 Your dream to drive the world’s fastest cars can be realized on Drag Racing. You can choose the iconic Skyline GT-R, the brand new BMW M4 or the classic 69’ Mustang. If you don’t have enough bonuses, you can use real money to buy your dream car and install performance upgrades as the game progresses. Choose a straight racing path and accelerate to the top speed to see how quicker you can get to the finish line. Balance between speed and grip to improve on handling and minimize crashes. Make the right gear ratio adjustments to see how efficiently you can overtake your competitors. Make use of nitrous oxide for increased power and speed for your car. Try driving your opponents’ cars to see if you can defeat them. Complete all levels, attempting all races and competitions, to emerge as the king or queen of Drag Racing. Get Involved In Competitive Multiplayer Game. The singleplayer mode may not give you the real gaming experience you need from this racing game. This is the reason the game developer has included the multiplayer mode that allows you to race with friends or online random racers. One of the great things about the multiplayer mode is that you get a chance to share your achievements and discuss strategies. Get Involved In Cashplay Tournaments. This is a great opportunity to win real money bonuses. Use your Drag Racing skills to defeat other players in tournaments and earn the bonuses. Competition is usually high in these tournaments, but the game algorithm pits you with players of similar ability. There is nothing better in gaming world than accessing an awesome community. With Drag Racing, you can easily connect with other car racing fanatics and enjoy the game together. You can find the fanatics from Facebook, Twitter, Instagram and even the Drag Racing website. Enjoy Reliable Support From The Game Developer. You can access the developer’s customer care when problems struck your game. Contact the developer through phone or email and the staff will do the best to help. Check also the FAQ to see if you can find your solution. Try Drag Racing For PC. You don’t have to struggle with small screens or poor controls of mobile devices when you can efficiently play the game on your PC. You can download and install an Android emulator and the game app on your laptop or desktop and enjoy a better gaming experience. Sometimes when playing Drag Racing, bluestacks ask you fee to pay but gives you option to download some apps. Every time it asks you just select “Install apps” and continue using it free. I hope you enjoyed this guide, please rate and share. If you have problems running Drag Racings on desktop or any other issues, leave a comment below.